Bouquet of flowers is a nice way to surprise your loved ones. 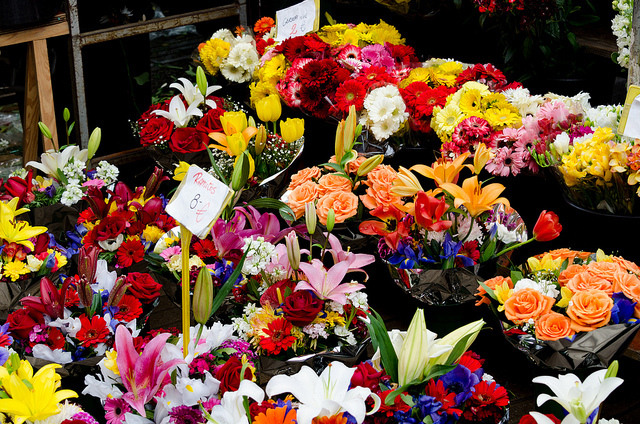 On the famous La Rambla is presented a wide range of flower shops. In the past, this was the only place in Barcelona where it was possible to buy plants and flowers. In April the stands are painted with red to celebrate the Sant Jordi festivity. Au Nom de la Rose is having two flower shops in Barcelona – one on street Carrer de Ganduxer in Sarrìa-Sant Gervasi neighborhood, and another on street Carrer de València in Eixample neighborhood. If you want to have something special, Javier Manjarrés in El Raval neighborhood on street Carrer del Carme is your place to go. In this shop you will find a rose that will never wilt – the roses are made of old paper, and decorated with recycled dowel rods. Planning to travel to Barcelona, and all but an apartment is already reserved? Habitat Apartments offers a wide variety of fully equipped apartments all around the city of Barcelona. Have a look for example on this romantic apartment, where sleeps comfortable four persons. 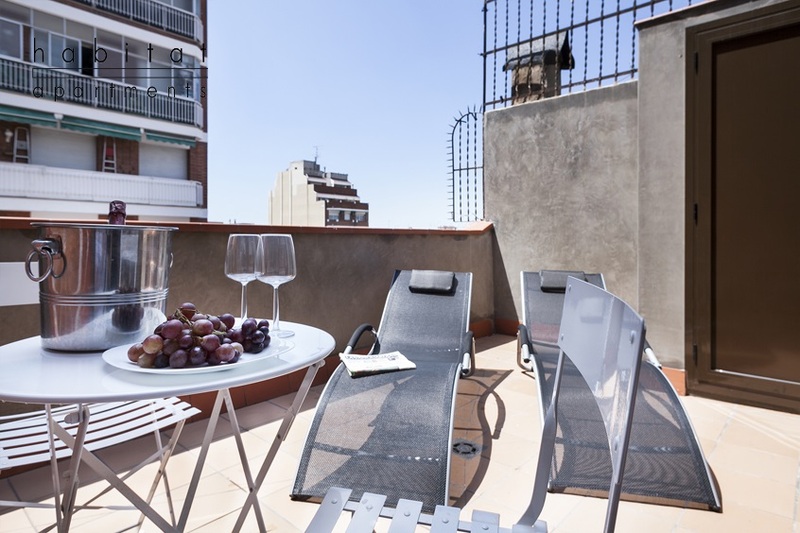 The apartment is located in the tranquil Sants neighborhood.